Proudly born and designed in Italy, the bracelet has no screen. With a full HD camera with a 140-degree view angle, you don’t need a screen to watch what you are photographing. Just point into the direction you want to photograph and tap. Simply and smart! It was designed for all people who love to freeze a particular moment in all day life without to put off the phone each time you want to take a photo, so also hands-free. The main targeted customers are travelers who want to capture a particular moment in their journey without stress to have something in the hand, but also people who love to make memories in all day life. Imagine all times you wanted to capture a particular moment with a photo or video, maybe during your last journey at the beach during you was living that emotion, with that colors, sounds, feelings… but you would prefer to leave it instead to take a photo and miss the focus on that moment. Or maybe because you didn’t want to take off your smartphone another time. The promise is exactly this: give the chance to capture a particular experience without the stress to have a smartphone in the hands or take off others objects in the pocket or bag. Imagine having a sort of digital video diary of what you are living. Sounds amazing, right? The easy to tap button is positioned in the top part of the bracelet, slightly turned toward a user, so the gesture to take a photo is natural and easy to do. Just tap to record a 9-second video or choose photo mode to take a Cleep photo. A haptic feedback with an intermittent led ensure you that the photo is taken, another vibration advises you it’s saved. 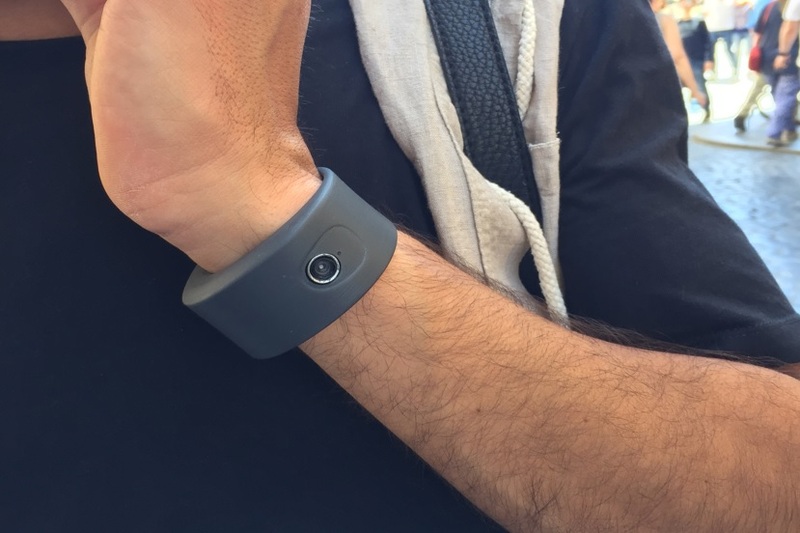 Cleep has an internal 8gb memory to take many photos and videos from your wrist before to download it on the smartphone though the opposite app using Bluetooth and wifi. From this point, you can choose to share your moment on your preferred social network or simply save on your device to re-watch every time when you want. The 500mah battery ensures the use during the day taking hundred of photos and almost 30 minutes videos. Cleep is a lot more. In fact, thanks to accelerometer integrated into the hardware and the vibration motor you can monitor your activity tracking during the day but also receive notification alert for what you matter. 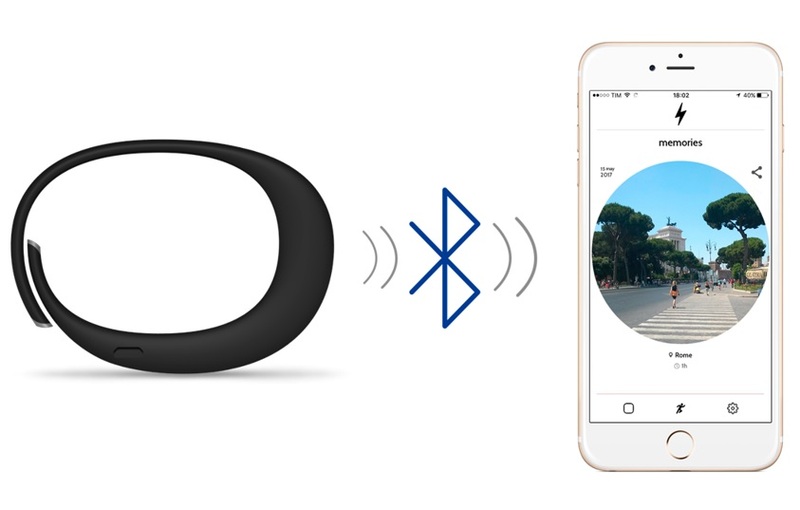 In fact, through Bluetooth, you can decide to receive notification for a call, message, and reminder with a soft vibration of the bracelet. So Cleep is the ideal solution to live your best moment without to have the stress of a smartphone or other object o your hands. 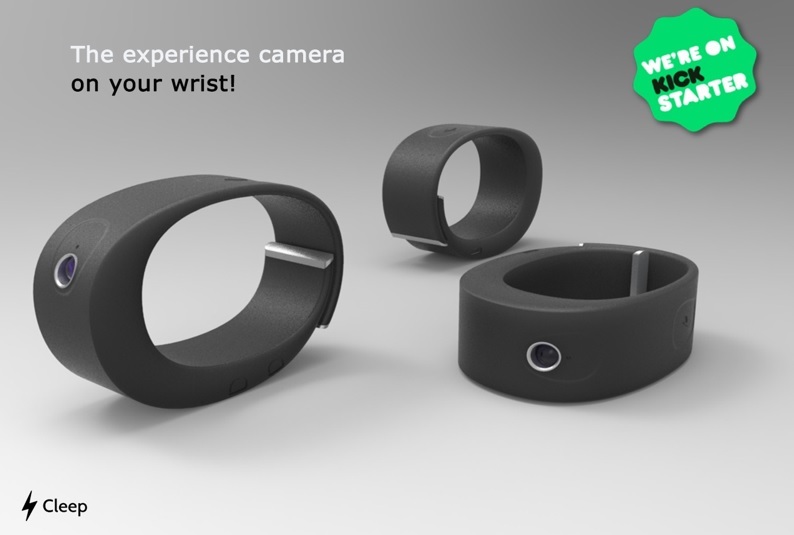 The bracelet will be available in pre-selling on Kickstarter from the half of May with a starting price of 199€.